The global economics crisis can be rescued by implementing 'The World's Greatest Economic Planning". It only cost all country for water storage of 1 US cent per day for a cubic meter individually. The World's Greatest Surprise will show you how to generate the system and your country local business. We sincerely invite all peoples from European Countries, USA, Latin America, UN organization, World Bank, AIIB and IMF, to carefully consider on our Greatest Global Economic Proposal and Better Livelihood for Humanity". 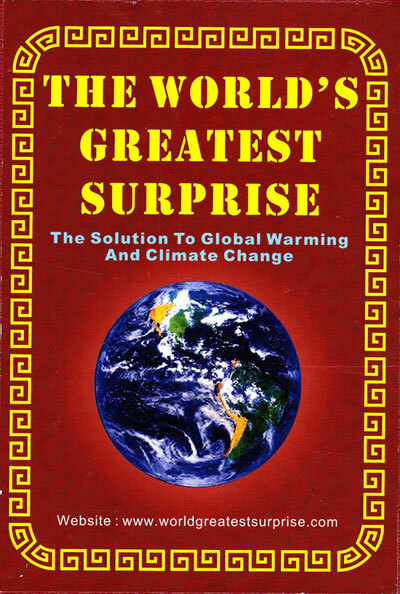 2013 © World’s Greatest Surprise. Powered by Wesourze Pte Ltd, Web Design Singapore.